IDC notes organic growth outside government projects is weakening, which should be a major concern for PC vendors in the country. 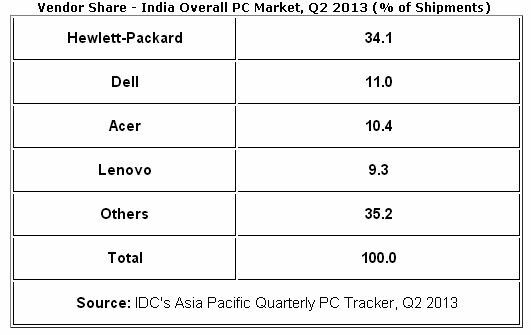 India's PC shipments for the second quarter in 2013 saw a 24% increase over Q2 2012 and a quarter-on-quarter surge of about 30.2 % over Q1 2013, according to the latest IDC report. In terms of vendor share, HP registered highest ever market share with 34.1% share in the quarter. Dell stood second with 11% share, while Acer grabbed the third position with 10.4%. According to the IDC experts, the growth was driven by the ongoing special projects run by the state governments in the UP, Rajasthan, and Tamil Nadu, which accounted for roughly one third of the total PC market. 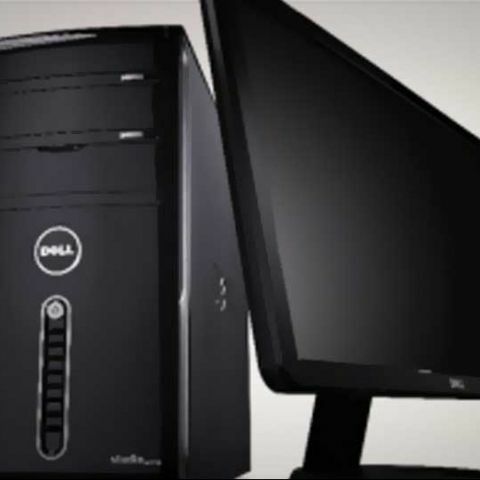 According to the experts, Dell's presence at the entry-level price-band helped them gain the second spot. Acer, on the other hand, continued to thrive in government and education projects spread across the country. IDC says Acer bagged large deals in the states of Tamil Nadu and Rajasthan, which pushed their growth in the commercial PC market in Q2. Experts noted that the organic demands for PCs in the country outside special projects has dropped, raising a serious concern for PC Vendors. The rupee slide has also negative impact on the segment. “...the rupee slide derailed enterprise spending, as the investment decisions remained seemingly delayed across most of the verticals,” says Kiran Kumar, Research Manager at IDC. "Though the enterprise PC business was primarily driven by the single largest notebook deal in the state of Uttar Pradesh, the vendor also led the consumer PC business in India with their well established channel network and incentive programs tied with their effective pricing strategies," added Kiran. According to Manish Yadav, Market Analyst, "Q2 had a sluggish start in April owing to inventory concerns coupled with shift in share of wallet towards commodities like gold and other consumer devices that were riding high on trade-back schemes and other time-to-time discount offers. Further, the announcement of new tax policies, such as the Local Body Tax in Mumbai and suburban areas, halted shipment growth in May. But June largely reversed this stillness aided by back-to-school campaigns and loading of stocks across partners in preparation to the impending price hike on account of rupee volatility."